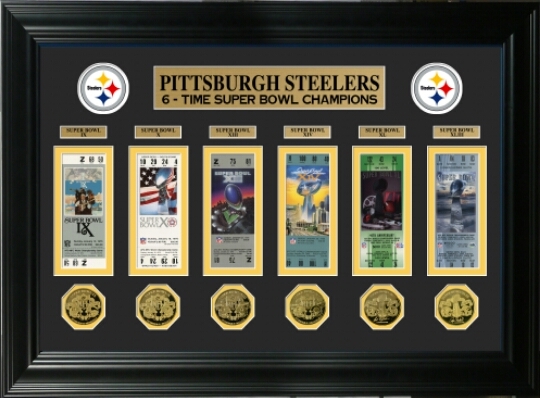 PITTSBURGH STEELERS: Less Market Value..More Championships | "IT'S A STEELERS WORLD"! Jacob Klinger from pennlive.com reports that twenty of the NFL’s 32 teams made Forbes’ annual list of the 50 most valuable sports teams in the world. The Pittsburgh Steelers tied for 32nd on the list and ranked 14th among NFL teams with a value of $1.35 billion. Basically cementing the fact that the Steelers do not buy their Championships, but rather earn them by smart drafting and player progression due to strong coaching abilities. And with an overturn of three head coaches in the past 45+ years it is easy to see why. But of course market value of a team does not necessarily pertain to just money spent of its players and staff, but also the amount of cash flow brought in by television, ticket and merchandise sales. Which brings up a Klinger statement..”The Steelers and the NFL stand out even more when considering how many home games each of the 51 – there was a tie – teams is guaranteed each season“. In overall value, the NFL has three of the top 10 teams. 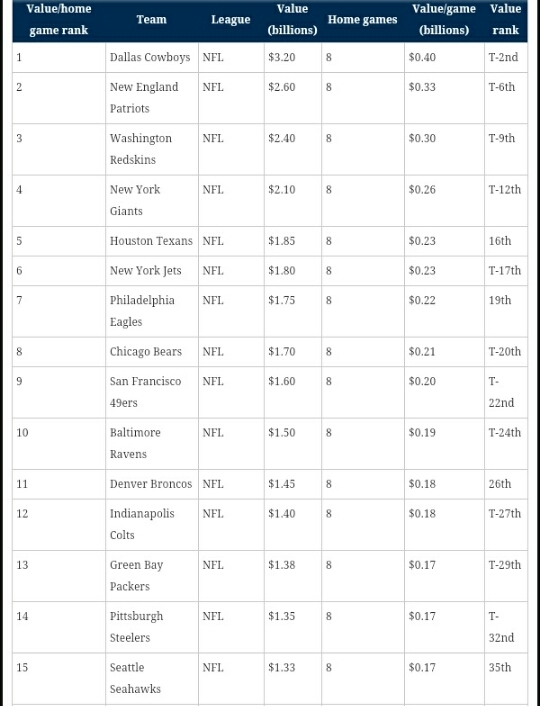 In value per home game guaranteed for last season, NFL teams own the first 15 spots. The Steelers rank 14th. NOTE: The top four non-NFL teams in the list below, each has its own TV station. Real Madrid and Barcelona negotiate their own TV rights, as opposed to being bundled in with an entire league’s rights. Here is a look at the top 15 teams, all of which are from the NFL..
Sure, you can spend billions on your players, bring in more monetary worth and accomplish less. Or you can pay a group of players devoted to the the sport, take in whatever happens..when it happens and accomplish more. But the last I checked, as the great coach Herm Edwards so eloquently put it..”You play to win the game”..and that results in Championships. Now you tell me..where would you rather be placed? At the top of the market value list? Or on the top of the Championship list? I believe the choice is obvious. Because let’s face it, the hardware will always bring in the money.